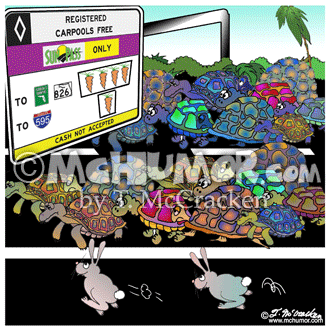 Commuter Cartoon 8173: Three lanes of traffic with the first two lanes crowded with turtles. 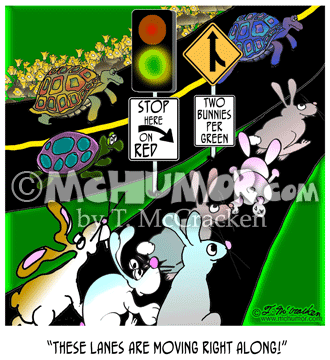 The third lane has a couple rabbits speeding along without any traffic. 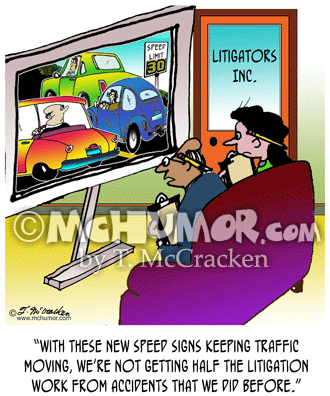 An easy pass sign has carrots replacing dollars. 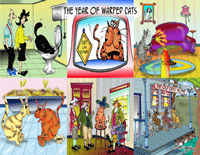 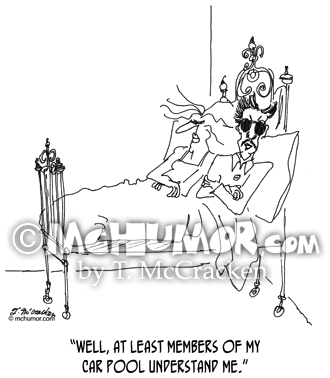 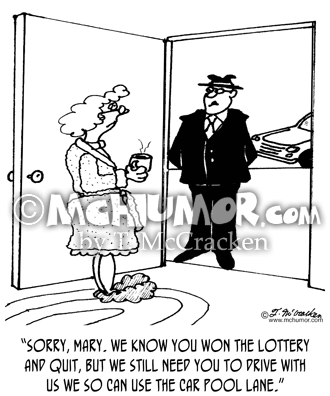 Car Pool Cartoon 9039: An eccentric in bed with his wife says, "Well, at least members of my car pool understand me." 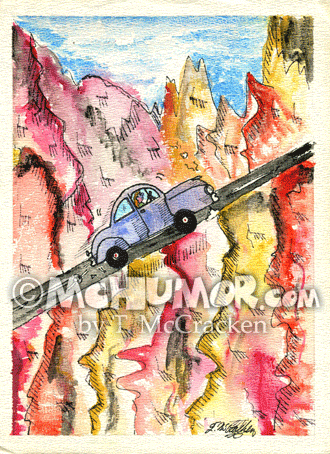 Plymouth Cartoon 3929: A cartoon/pen and ink/watercolor of me driving my 1951 Plymouth up the Rocky Mountains.